Welcome to your local Spring Mountain Ranch homes for sale and Las Vegas real estate resource. 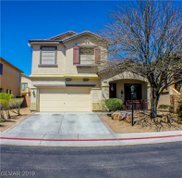 Spring Mountain Ranch is a stunning community located in the northwestern region of Las Vegas. For information about Spring Mountain Ranch neighborhood homes for sale in Las Vegas or to schedule a private showing, contact your expert Spring Mountain Ranch real estate agents today. Find a home in Spring Mountain Ranch? Call VegasOne Realty, your Las Vegas real estate team, at (702) 460-8143. We are Spring Mountain Ranch real estate agents and experts on the newest home listings in Las Vegas. This eclectic community rests in some of the most beautiful and fascinating mountains in the western region of the United States. Spring Mountain Ranch offers its residents strong area schools; outdoor activities like hiking, trail walking, and various sports fields; and a tranquil and peaceful environment for anyone to enjoy. The community of Spring Mountain Ranch provides its residents with impeccable homes, a variety of entertainments, and a variety of exciting close by neighborhoods. Spring Mountain Ranch sits just outside the city of Las Vegas and Summerlin South and boasts fine dining options and shopping districts. Spring Mountain Ranch has 400 homes built in architectural styles like Traditional single-family homes, Mediterranean Revivals and Ranch-style homes. The Spring Mountain Ranch Homeowners Association has projected that another 1,000 homes will be placed in the community within the next ten years. Buying or Selling a Home in Spring Mountain Ranch? Contact VegasOne Realty to get more information about buyer or seller representation in Spring Mountain Ranch. Planning to get involved in the Spring Mountain Ranch real estate market? Review our CMA (comparative market analysis) form to quickly see your Spring Mountain Ranch property value estimate within minutes. BEAUTIFUL HOME IN CENTENNIAL HILLS. CUSTOM PAINT, PLANTATION SHUTTERS, ALL APPLIANCES INCLUDED, Upgraded water softener, and more. Must see!